So, there’s this TV series, produced with young girls in mind, about talking ponies living in a magical land. No, it’s not that one. 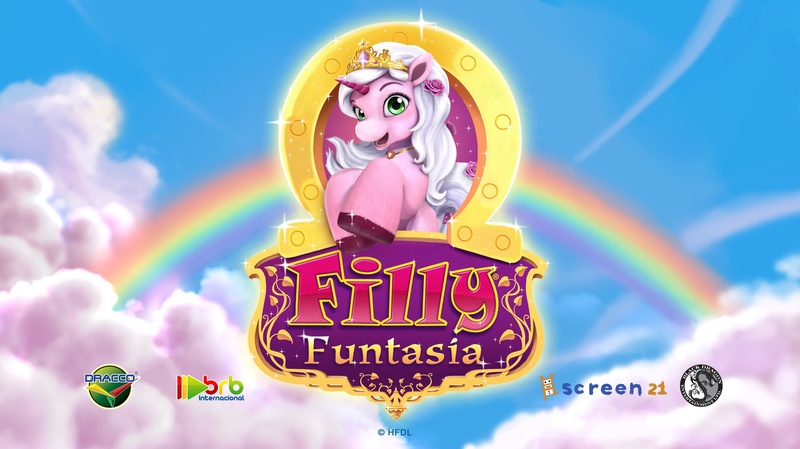 “The Filly animated series brings to life the charming adventures of Rose and her friends as they attend the Magic Royal Academy of Funtasia. The Wizard of the Dark Mirror, and his comical minion Battiwigs, try to steal all the magic in the kingdom. Despite their wacky attempts, the Fillys enjoy everyday school life, studying and discovering their unique, and magical, crystal powers in these coming of age stories.” That’s from the producers and distributors. According to some sources, Filly is already a bigger toy product in Europe than My Little Pony. And then there’s this, from the Animation Magazine web site: “BRB and Dracco’s upcoming new animated series Filly Funtasia has put together a top-notch writing team: Dean Stefan (The Penguins of Madagascar, The Octonauts, Jake & The Never Land Pirates), Noelle Wright (Doc McStuffins, Sofia The First), Jymn Magon (Pac-Man and the Ghostly Adventures), Johnny Hartmann (Monster High), and Sean Derek (The Smurfs, ZhuZhu Pets, Strawberry Shortcake, Sabrina, Hello Kitty) are busy putting together episodes for the 26 x 30? high-def series.” No kidding. Where have we been? 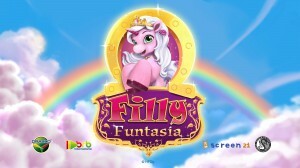 They had me at "Filly", but lost me at "Funtasia". "The German toy giant Simba introduced their own My Little Pony Shoddy Knockoff Product when the real deal had fallen into unimportance due to neglect by Hasbro. They copied the G3 molds, modified the printing and named the result "My Sweet Pony". Hasbro noticed and sued, and Simba had to apply a few more changes and re-release their small toy horses (not ponies) under the "Filly" brand. Unfortunately, Filly has become so popular among little girls in Germany who have never heard of My Little Pony that the fourth MLP generation would have ended up in obscurity, weren't it for the bronies. So, it's totally an MLP ripoff, if not necessarily MLP:FiM (though that's just the toys; probably a bit of FiM poaching will inevitably occur for this series).